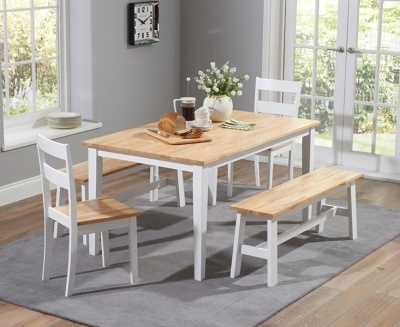 Fantastic dining table for busy homes. 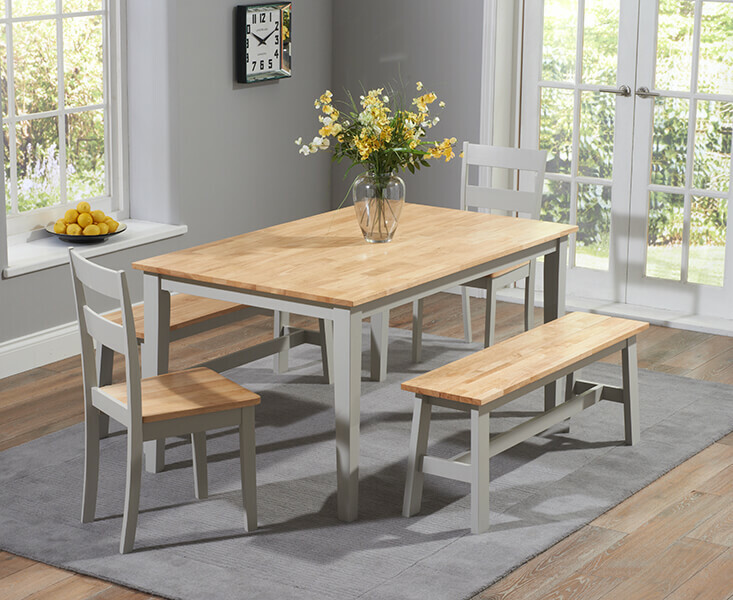 Two large benches and two dining chairs provide plenty of seating for family and friends to gather around a meal. 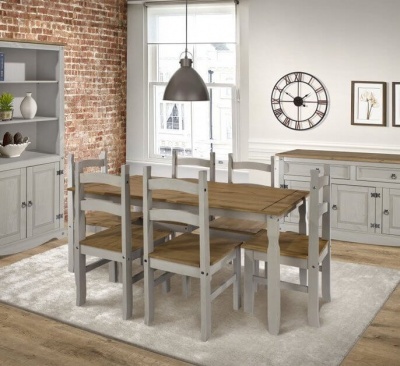 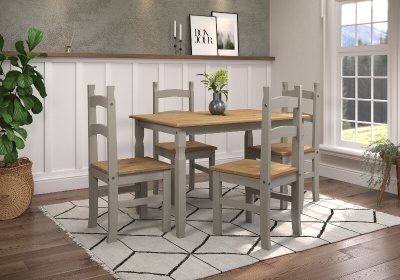 Simple dining table offset by the elegant benches and ladder back dining chairs. 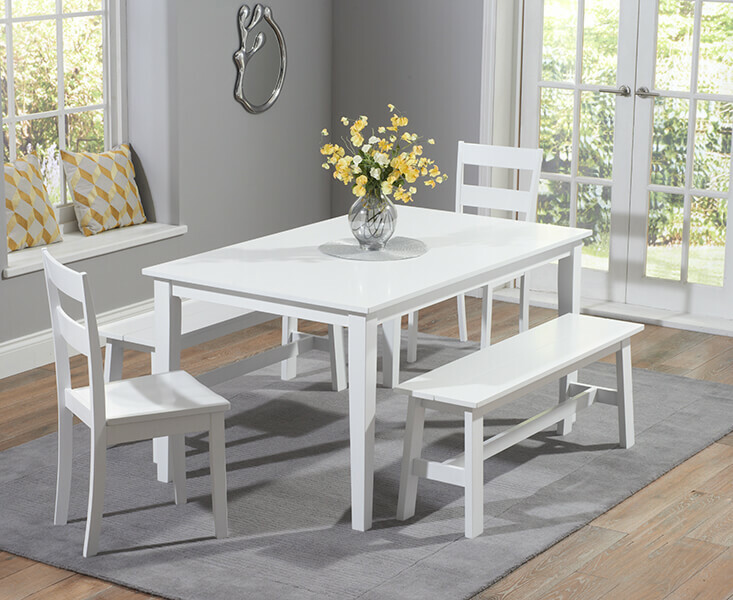 The benches have flare legs and cross bar support. 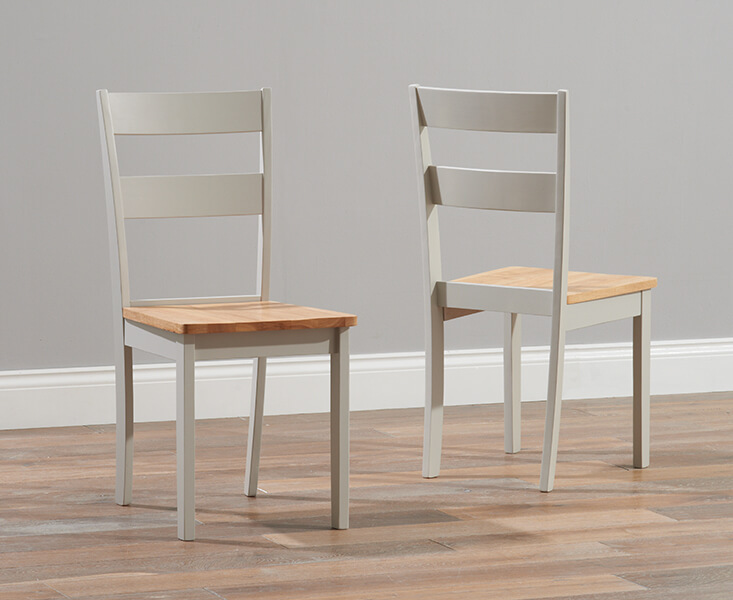 Available in all white, cream and oak, grey and oak or white and oak to suit your decor. 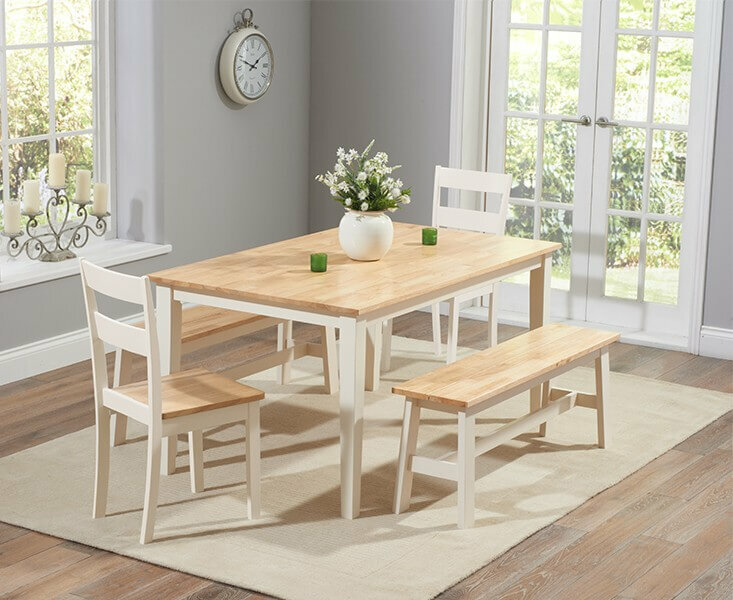 Dining table: H75 W90 L150 cm. 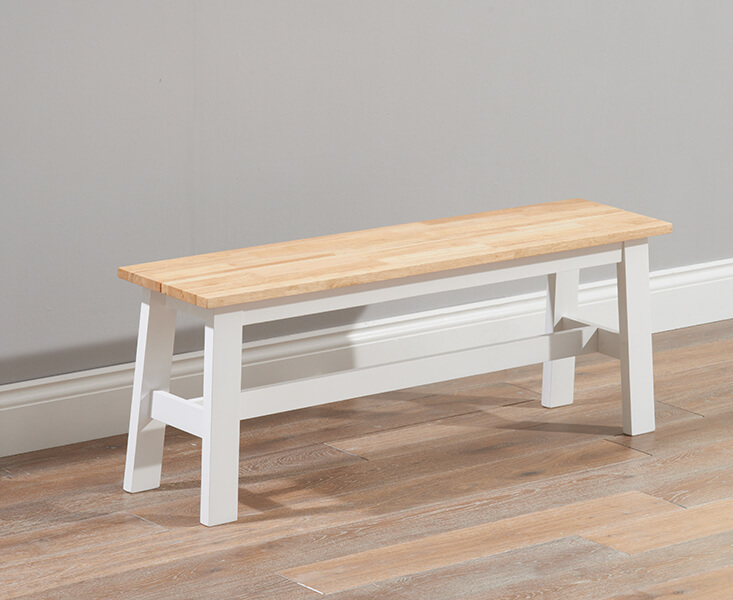 Bench: H45 W30 L120 cm. 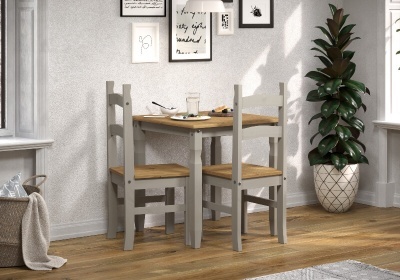 Dining chair: H89 W40 D39 cm.